The Utah State University Eastern baseball team begins preparation for the upcoming season in the Bunnell-Dmitrich Athletic Center instead of on the baseball field due to the winter weather conditions. The team is scheduled to play their first games on Jan. 29-30 in Tucson, AZ. 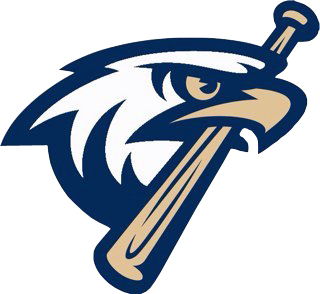 USU Eastern will face Pima Community College in a four-game series in their first games of the year. PCC, a team that USU Eastern played last pre-season, is always a tough matchup and has the benefit of playing and practicing outside year round. The Eagles are scheduled to play their first home games on Feb. 19-20. Eastern is in the Scenic West Athletic Conference and the teams in their conference are College of Southern Nevada, Salt Lake Community College, Colorado Northwestern Community College, Western Nevada College and College of Southern Idaho. The Eagles begin conference play on March 2. The SWAC is a great conference for baseball and always produces great Division 1 transfers and even players who get drafted to play Major League Baseball. CSN and WNC have had historically great teams. “CSN vvv quite a bit of players from last year, but they do a great job in recruiting, so we will look for them to be good” said Coach Scott Madsen. WNC will discontinue their baseball program after this season due to lack of funding. “They [WNC] will put together a tough team to beat in their final season” Madsen said. Most of the players who moved on from USUE last year were pitchers. Of the returning players, only three of them are pitchers. The majority of the incoming group of freshman and transfer players will make up the difference for the Eagles’ pitching staff this season. Pitching is an important position and regardless of experience, being unified in a common goal makes all pitchers equally important. Freshman pitcher Kirk Haney said, “I felt a sense of unity, in the aspect that anyone could come up with a key play at any moment.” The pitchers and the team have been working hard to prepare themselves for the season opener in Arizona.